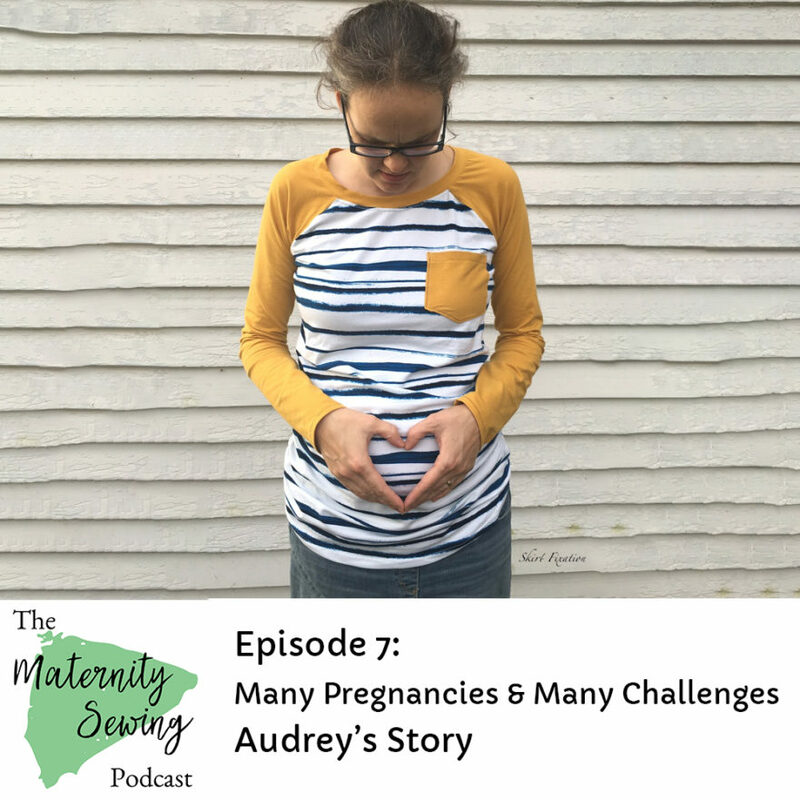 In Episode 7, Audrey of Skirt Fixation tells Erin her personal story of having gone through many pregnancies and some of the challenges she has faced through them including miscarriage, loss of a loved one, and physical pain. 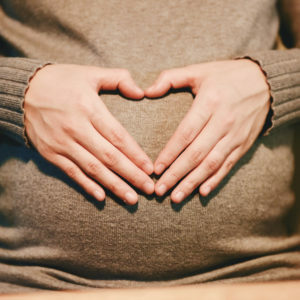 She goes into depth on her experience of prenatal anxiety, a poorly understood condition that has affected her in her last several pregnancies. You can find Audrey at her blog Skirt Fixation and on Project Run and Play as well as on Instagram. We carry one of her Savvy Patterns sewing patterns in our shop. Prenatal anxiety is also called prenatal depression, perinatal depression, perinatal anxiety, antepartum anxiety, and antepartum depression. Perinatal anxiety/depression is a bit broader of a term that includes the period shortly after birth so information on perinatal anxiety/depression is usually much more focused on postpartum anxiety and depression as they are more recognized and understood. Audrey shared her personal experience. Neither of us is an expert in any way so if you believe you may be experiencing prenatal anxiety, please reach out to an expert for help – someone like your primary care provider, midwife, OB/GYN, therapist, or psychiatrist. Here’s one resource about how to find care for perinatal anxiety. Postpartum Support International has other resources and a helpline. Anxiety.org has a lot of information about anxiety. Audrey talked about several different mindfulness techniques that have helped her and you can read more about mindfulness and anxiety here. Though she didn’t mention it while we were recording, Audrey wanted me to share that her anxiety symptoms have always faded quickly after giving birth. Knowing that there is a clear end to her anxiety coming up has made it easier for her to get through her symptoms. [0:11] Welcome to Episode 7 of the maternity sewing podcast. Maternity sewing.com is your source for maternity, nursing, and postpartum friendly sewing patterns. The maternity sewing podcast is where we have frank conversations, share stories and offer help and inspiration on things like sewing and body positivity especially during pregnancy and postpartum. Hi I’m Erin Weisbart also known as Tuesday Stitches. Today I’m talking with Audrey of Skirt Fixation and Savvy Patterns. She’s going to tell us her really personal story of some of the challenges that she has faced through many pregnancies and especially focusing in on prenatal anxiety. For those of you with family members around we are discussing mental health and some loss during pregnancy so if that’s not something you want those around you to listen to now’s a good time to skip to another episode. [1:11] Hi Erin it’s good to be here. Do you mind introducing yourself for our listeners. Sure. My name is Audrey. I blog at Skirt Fixation and I also run the online children’s sewing competition project. You have had many pregnancies and we were wondering if you could start by just kind of talking through them a little bit and sharing what sharing what your journey has been. Sure so. [1:42] When I was 20 I’d been married for about 6 months and my husband and I found out we’re expecting for the first time. And so that was a very exciting first time pregnancy and at about 8 weeks we lost that baby and so our pregnancy journey starts with a miscarriage. And it was about two years later until we finally had a successful pregnancy that went full term. But I think starting out on the pregnancy journey with a miscarriage maybe made pregnancy a really special thing to me and to us. growing inside of you and having a sudden loss of life that was very close. Pretty intense time. And so then our son was born. That was number 2 and 2 years later I’m we were expecting again two and a half years later. And when I was 5 months pregnant with this one number three I was in a car accident, rear-ended, and experience some pretty. [3:47] expand and grow and fill up with a baby and if so when something when something happens that’s sudden like this your body is unable to like hold a chiropractic adjustment and unable to you know for if your body gets out like your spine gets out of alignment your ligaments won’t hold it back in alignment. So with that pregnancy I experienced pretty intense pain and unable to take any heavy drugs or anything to deal with the pain. So that made pregnancy number 3 quite intense and interesting. it’s so hard to think “am I going crazy? What is this? I must be the only one. I can’t be okay.” And just to be able to hear other women say “no I’ve been there too. Like that’s happened to me and it’s hard and it’s scary but I got through it and you’re going to get through it too. Exactly. So then we were very delighted to be pregnant again this is number 7 now if you’re keeping track number 7.
inability to sleep, panic attacks, tense muscles, restlessness, and just some shaking, just some shaking happening. And then of course there’s a mental manifestations to severe worrying about the baby and lots and lots of anxiety about the actual birth event. [10:25] Funny story. 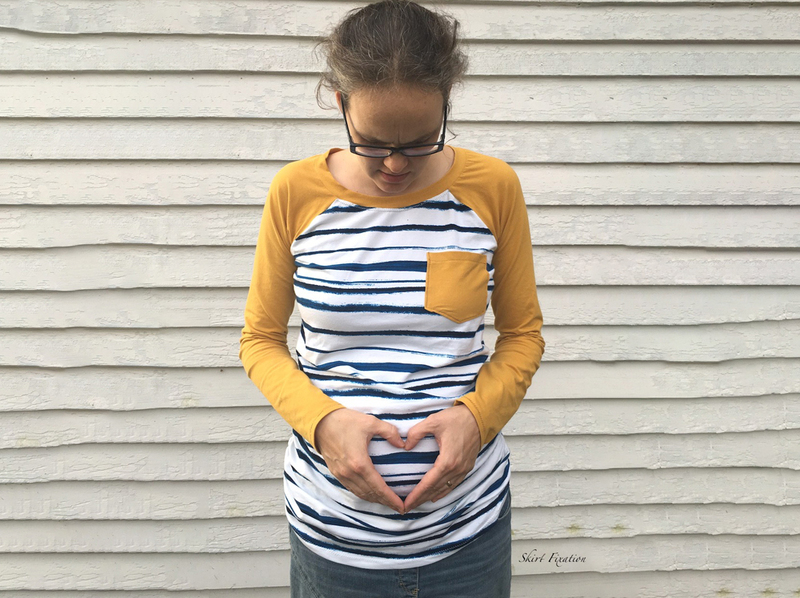 Through eight pregnancies I had never had an ultrasound because my Midwife didn’t find it necessary for our prenatal care. No concerns as far as the baby was concerned. But with number 8 this anxiety and worry about the baby was so intense that I just was convinced that something was wrong with the baby and so we did go get an ultrasound and it was helpful to know that there was nothing wrong with the baby, actually. So yeah things I found that help. Definitely exercise is really important for me. [11:01] Just getting a good kind of physical exercise like going for a walk outside always always help me to like if I was having heart palpitations or hyperventilating just get outside, get some fresh air, go for a walk, calm down. Just the simple action of putting one foot in front of the other and just taking one step at a time would kind of calm those heart palpitations and those you know kind of that panic attack. Another thing I found pretty important is diet for me. So if I avoid almost all sugar and many carbohydrates I seem to be able to keep it under control better. And the proper supplementation like for me I found potassium to be especially important that one I nailed down because I was also having leg cramps and charlie horses at night. So potassium supplementation helped with that. Aromatherapy actually helps quite a lot. My husband discovered that one. I think he does a lot of Google research to help out his poor wife and he went and got a diffuser and took me down and had me smell different blends of essential oils. prenatal anxiety know any sort of anxiety and that especially all of them kind of relating to mindfulness techniques where you’re focusing on the aromatherapy you’re focusing on you’re taking your focus away from anxiety you’re experiencing and instead focusing on something else in this case of pleasant smell. Or in the example of going outside for a walk you know you’re focusing on one step at a time and being able to be present and mindful can help you get away from the anxiety that and the manifestations of anxiety that you’re experiencing in that moment. Yeah exactly. So I’m like an exercise that is especially helpful is Yoga because of the calming breathing techniques that you do. Yeah. Like some people. [14:24] go for a long jog that might be challenging depending on your pregnancy and the state of your pregnancy. And then it just becomes a cycle you know so you’re doing all this worrying and then you’re worrying that you’re worrying is affecting the baby and then it just goes around and around. Oh my gosh. Thank you for sharing your experiences and some of the things that you found helpful in addressing your anxiety. And I really hope it helps someone else if they find themselves in this condition. Again in a being able just to share our stories and hear hearing you know that you’re normal can be really helpful no matter what’s going on in your life. So we really appreciate you sharing your story and if you are to anyone out there listening, if you are experiencing anxiety, especially prenatal anxiety, Audrey give us some great ideas about places to start but do talk to your care provider because this is something that they can help you with and they can help you figure out other solutions that might work for you too. [15:29] Right because it isn’t just you it’s the life inside of you that’s being affected too. Yeah. Thank you Audrey we really appreciate you sharing your story. Yeah thank you Erin for doing this podcast and getting this information up there other people. Yeah it’s our pleasure. [15:47] That’s it for today’s episode of the maternity sewing podcast. You can find maternity sewing at maternity sewing.com. 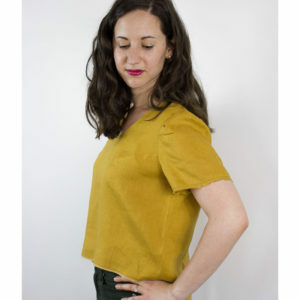 You’ll find a curated pattern shop of maternity nursing and postpartum friendly sewing patterns. 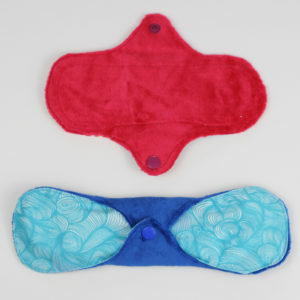 Our blog where we have sewing tutorials and inspiration for pregnant nursing and postpartum sewists, and the show notes from all our podcasts at maternity sewing.com/podcast where we linked to everything we talked about today. You can also stay in touch with maternity sewing in our Facebook page, Facebook group and on Instagram as maternity sewing. I’m Erin Weisbart your host today and co-owner of maternity sewing. You can find me at Tuesdaystitches.com and on Instagram as Tuesday stitches. Today I talked with Audrey. You can find her at skirtfixation.com or project run and play. Com or an Instagram as skirt fixation. [16:34] If you have a story that you’d like to share let us know. We want to help encourage women to share their stories and to talk about things that are hard. And if you’re going through something hard speak up. You don’t have to do this alone. Reach out to a friend, a family member, a primary care provider, an ob-gyn, a midwife, a therapist somebody. Just reach out and let somebody else know that you’re having a hard time because you’re not alone and there are people out there to support you.